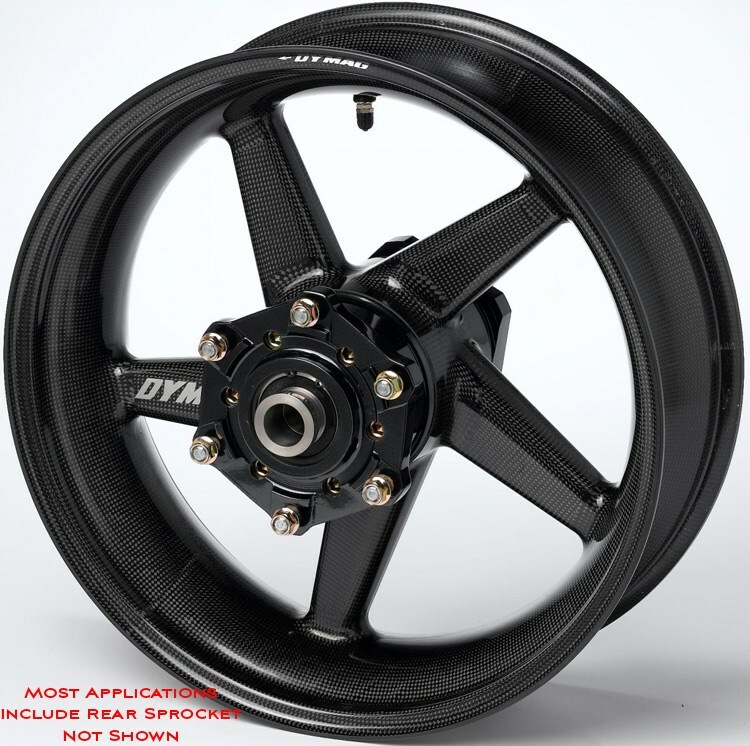 From the original manufacturer of Carbon Motorcycle wheels The Dymag CA5 is both super lightweight and incredibly durable. The Carbon Race 5 Spoke (CA5) motorcycle wheels have been designed with the benefit of 30 years of specialist experience of lightweight wheel technology for both bikes and cars. These stylish ultra-light and ultra-strong one-piece Dymag Carbon Race 5 Spoke motorcycle wheels will transform your bike's handling and performance. Fitments available front and rear for most late model street bikes (American, European, and Japanese brands). can be added at checkout as well. NOW AVAILABLE! Optional color anodized hubs, sprockets, and sprocket carriers! Six colors to choose from, including black, silver, gold, red, blue, orange, and purple! Add a dash of bling to your wheels when you order! Custom order wheels ship direct from the U.K. to your door, please allow three to four weeks for delivery.